The question to ask yourself is – "How can a website improve some aspect of my work?". Once you've done that, you can move on to the next stage - deciding what you actually do want a website to do for you. OK - so what's the bottom line ? To start with you will need somewhere to ‘host’ your website pages. You then need a domain name or ‘web address’ for your website ie. www.yourcompany.com. You will want email addresses that tie in with the web address i.e. yourname@yourcomapny.com. 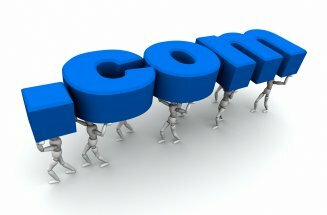 You can find out more about domain names and hosting packages. Once you have sorted a name and some webspace you are next task is the main part of the entire website project, the DESIGN !